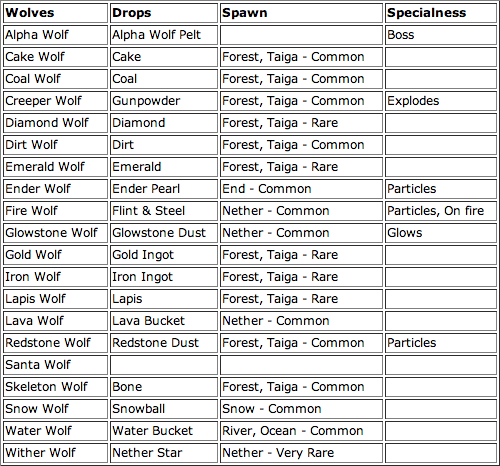 This mod adds more wolves into the game and gives them and the previously existing wolf special powers. Most of the wolves spawn in their particular environment (snow wolf) but the others like the diamond wolf all spawn in forests in packs. The Lava, Fire, and Glowstone Wolves all spawn in the nether.